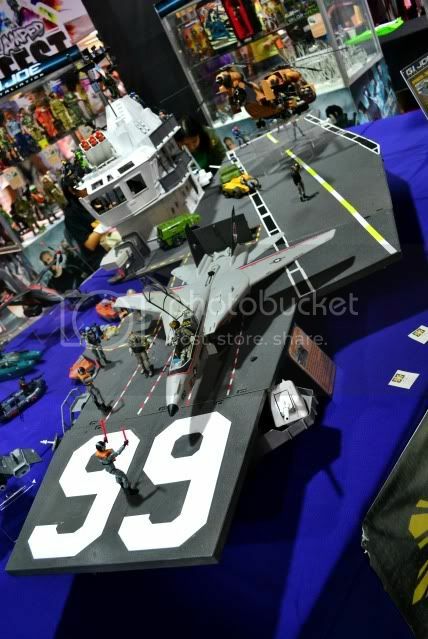 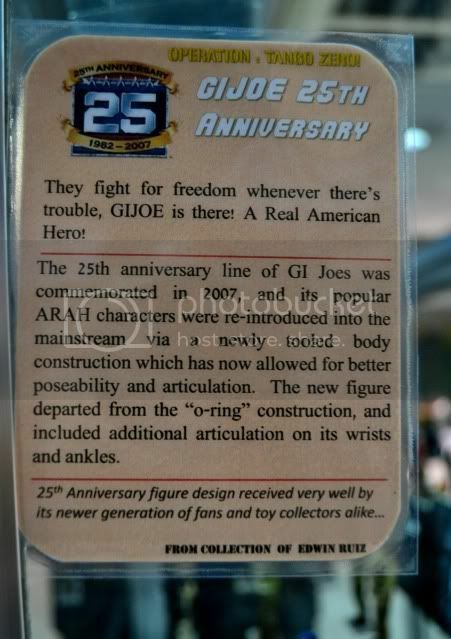 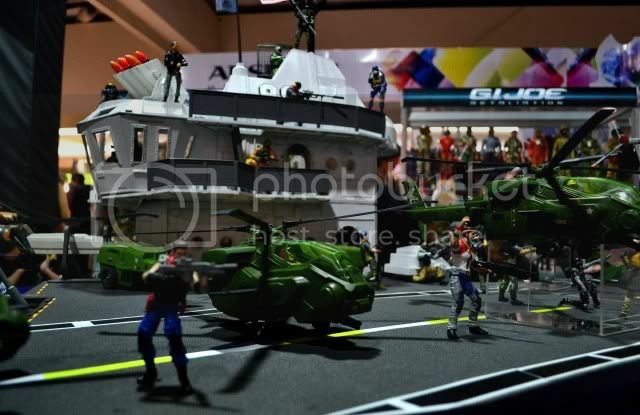 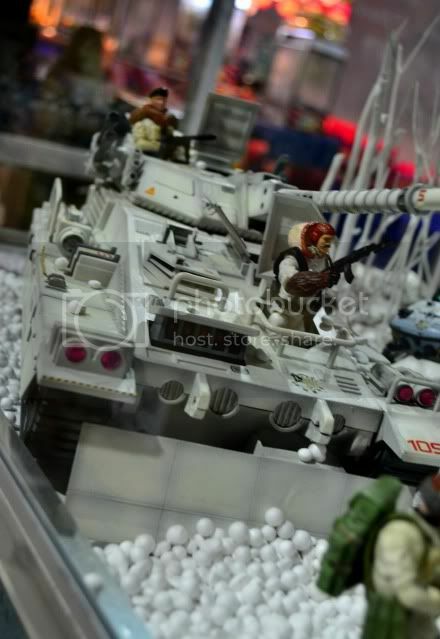 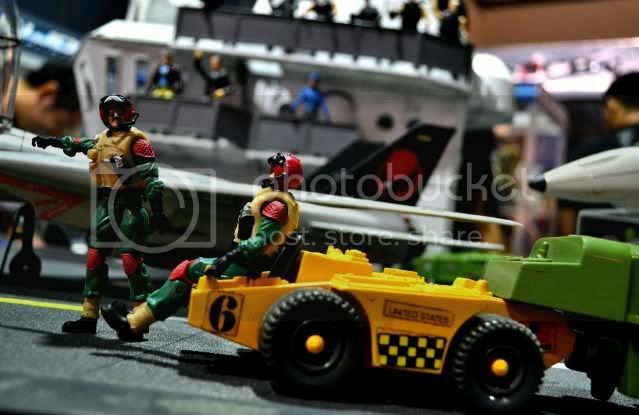 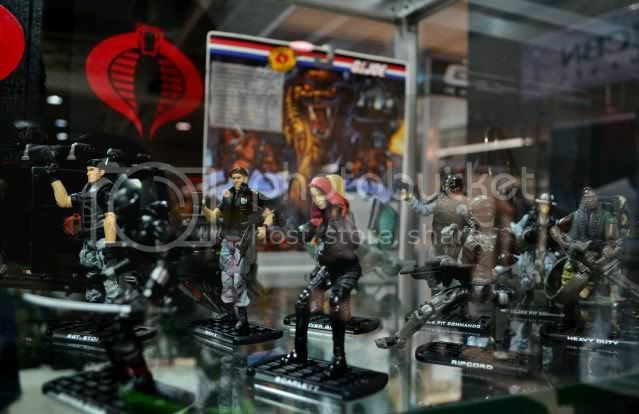 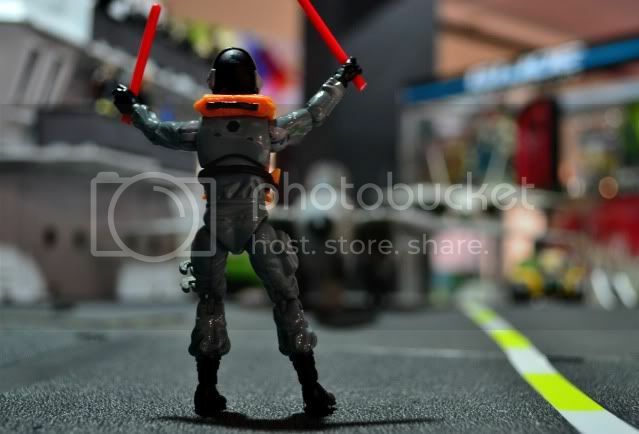 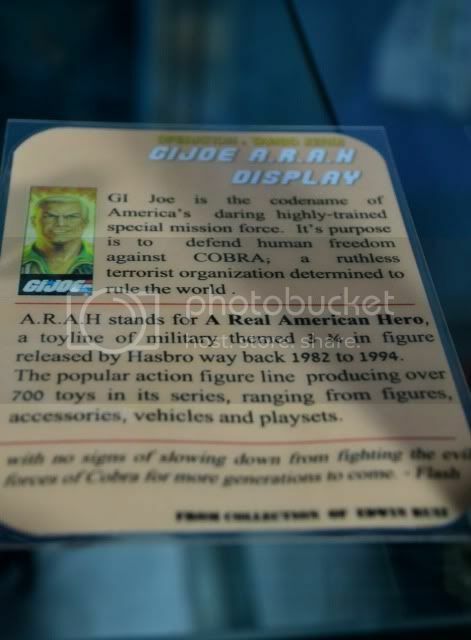 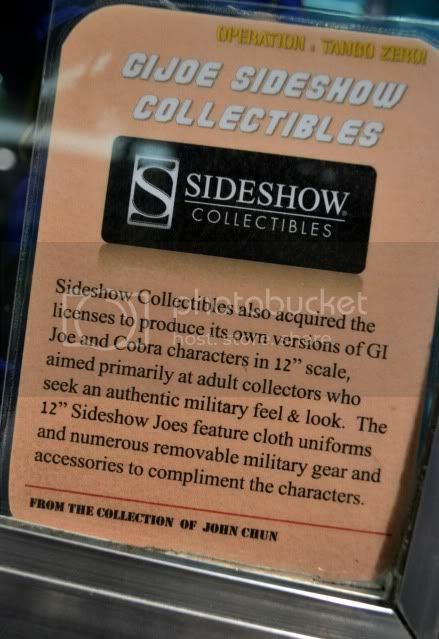 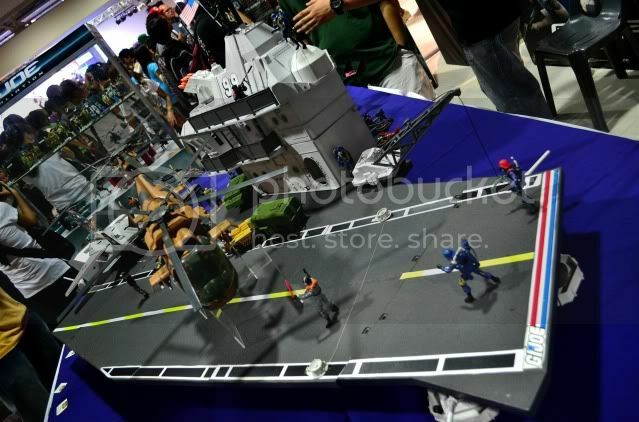 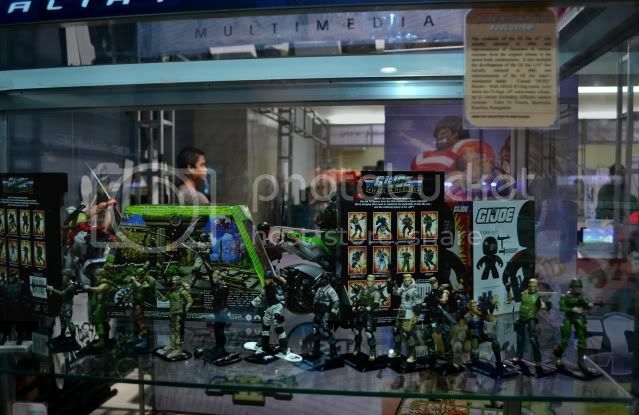 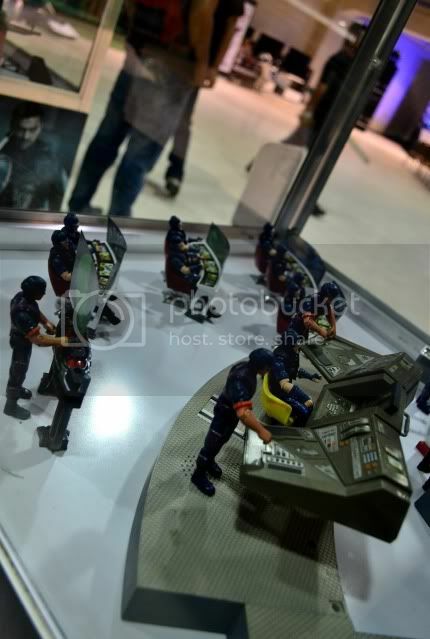 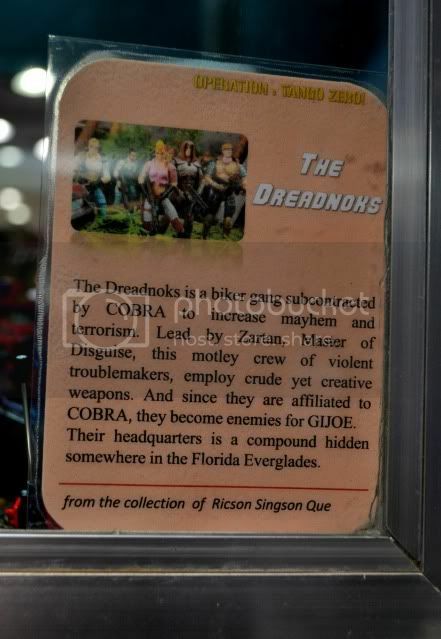 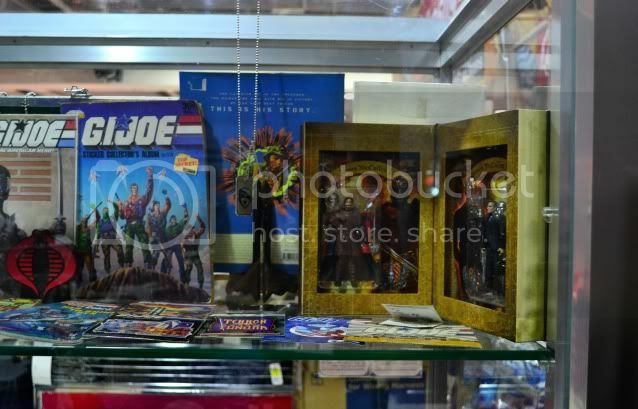 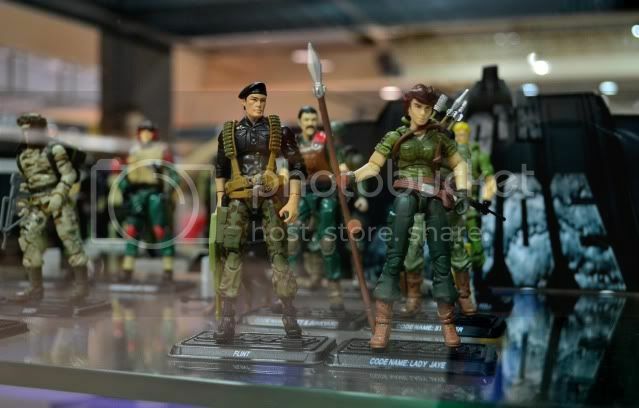 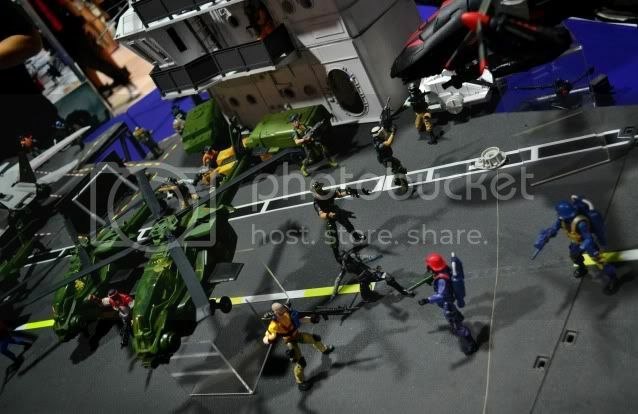 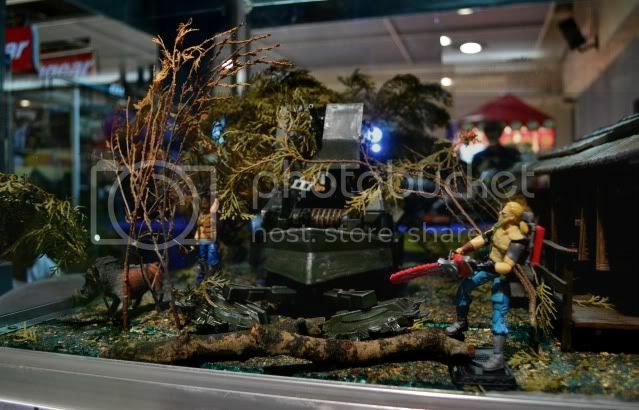 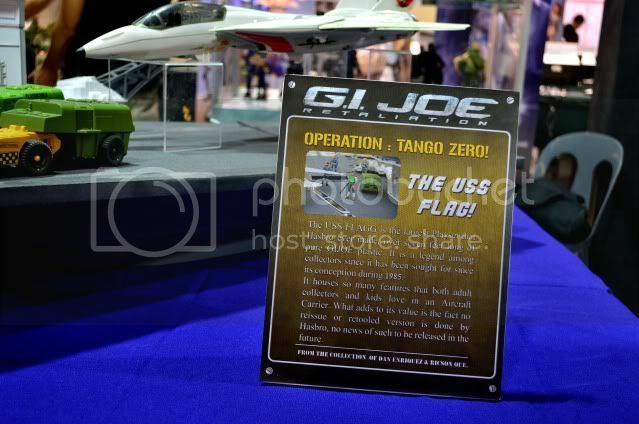 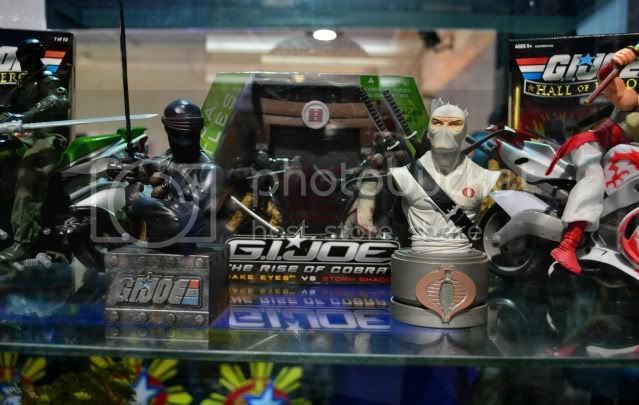 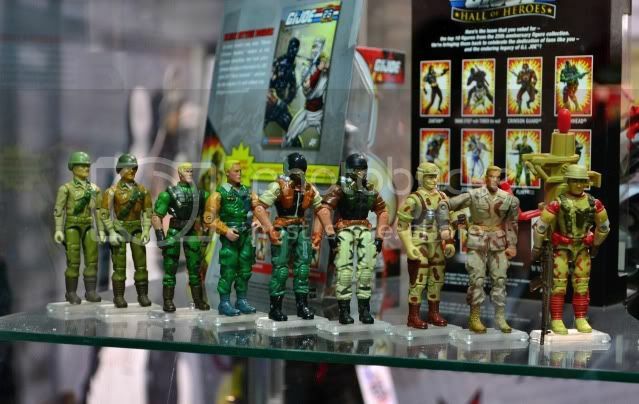 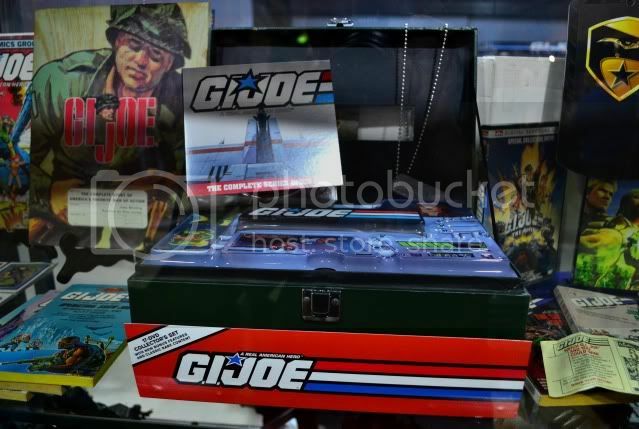 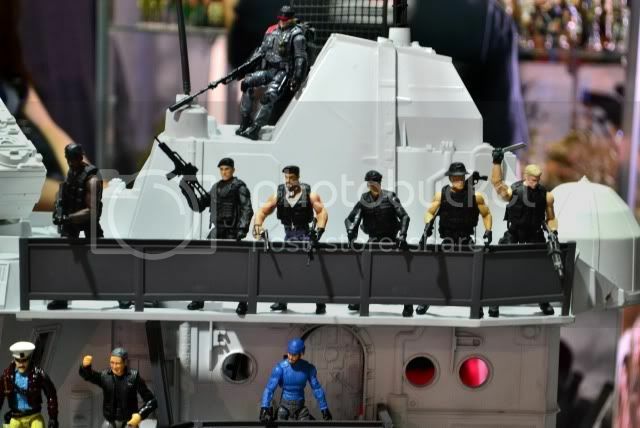 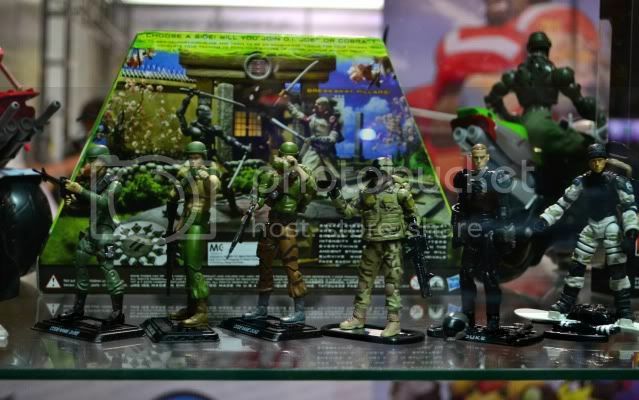 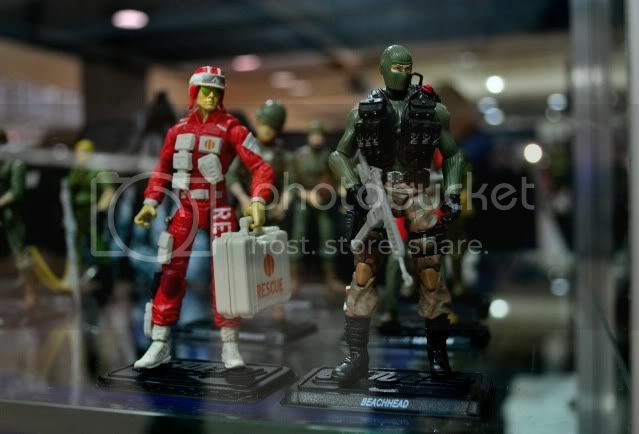 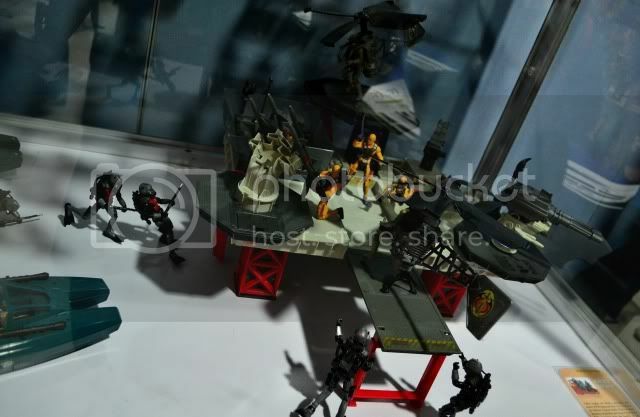 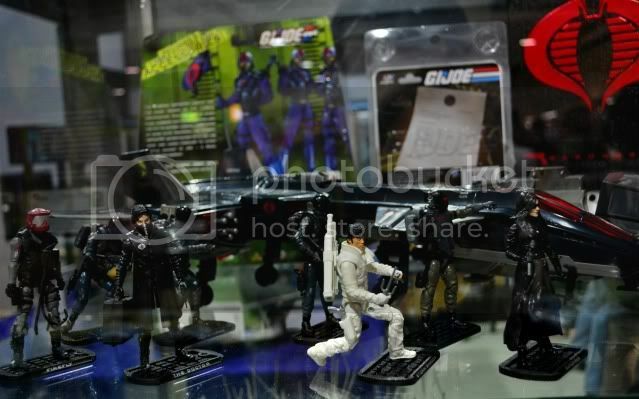 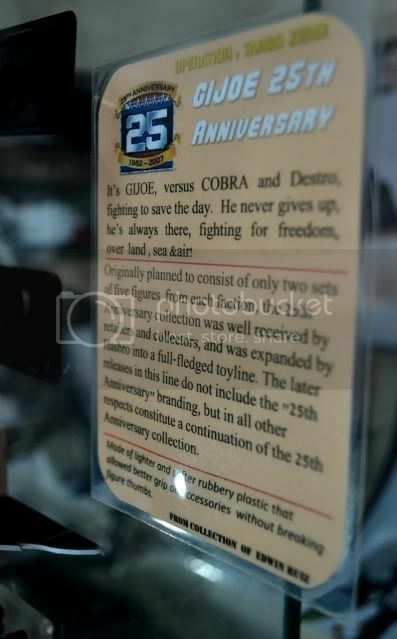 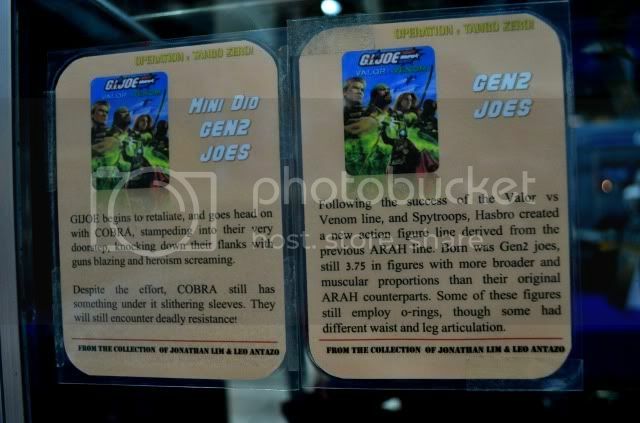 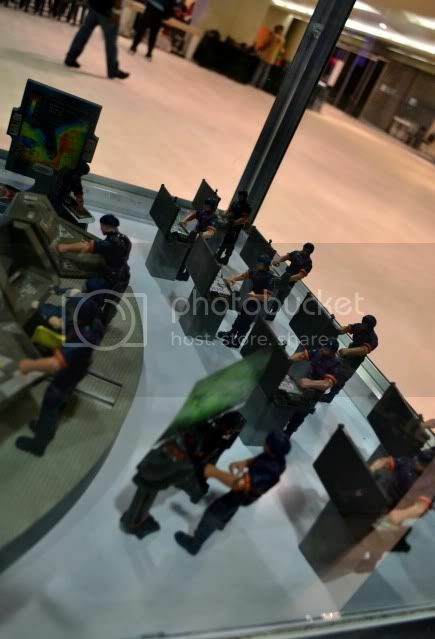 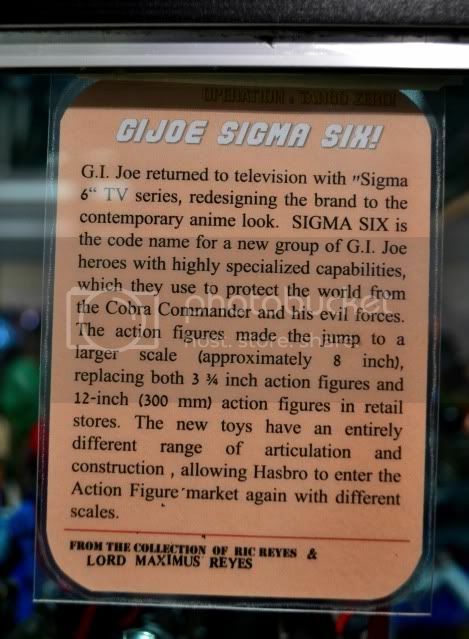 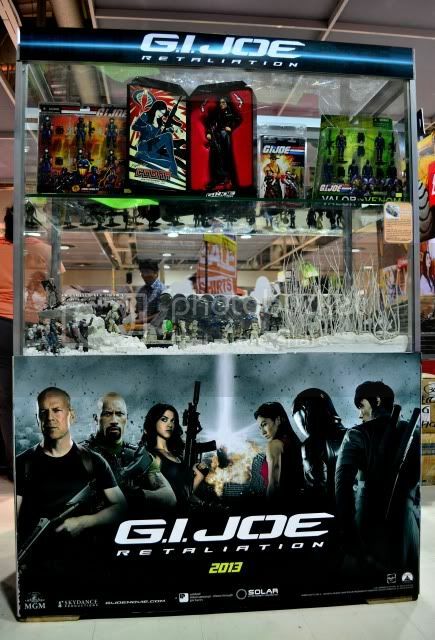 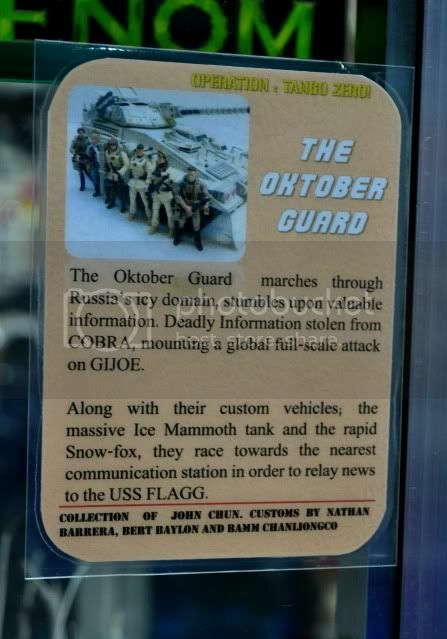 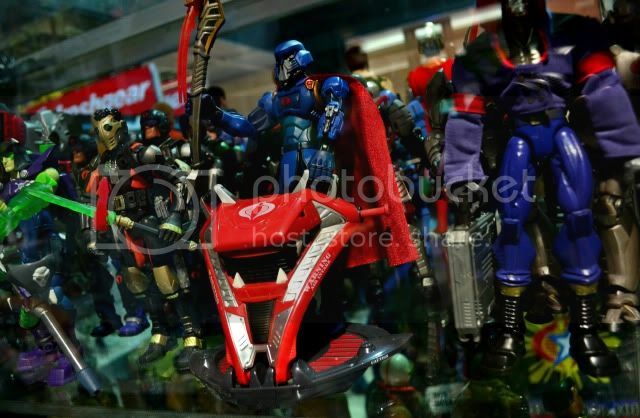 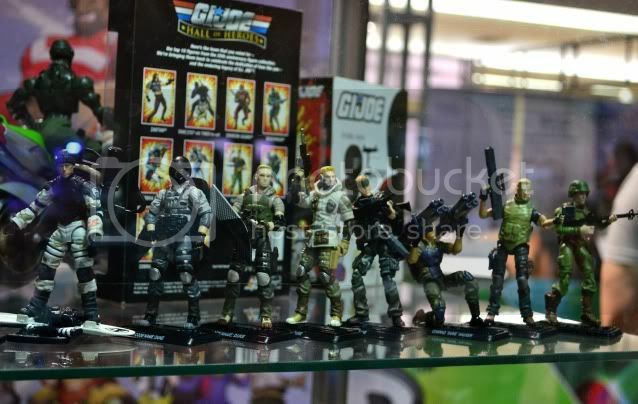 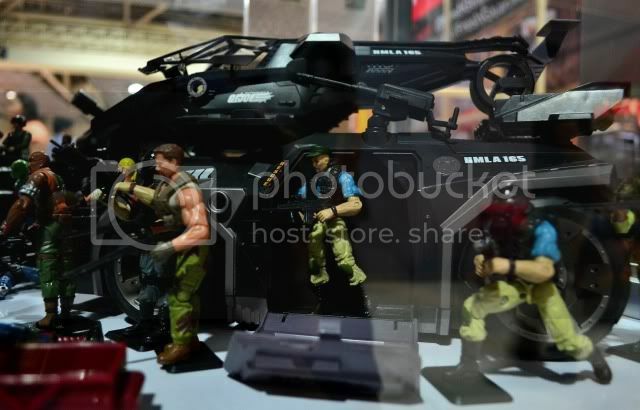 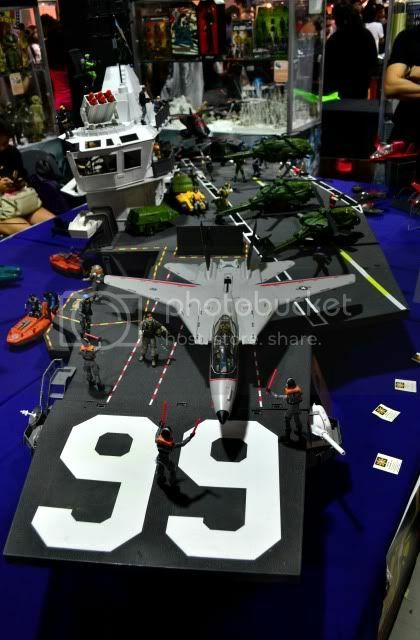 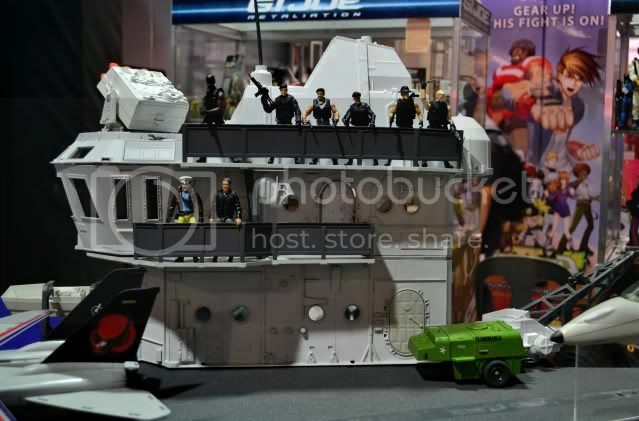 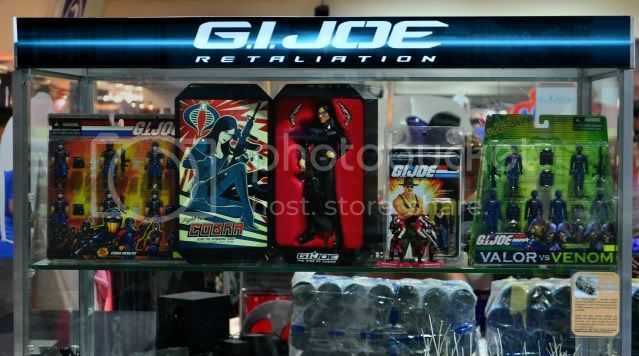 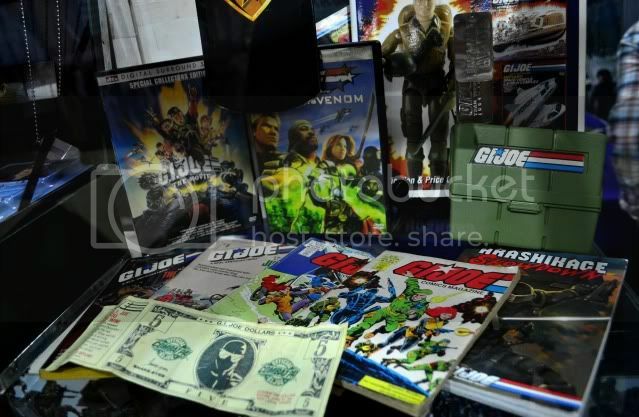 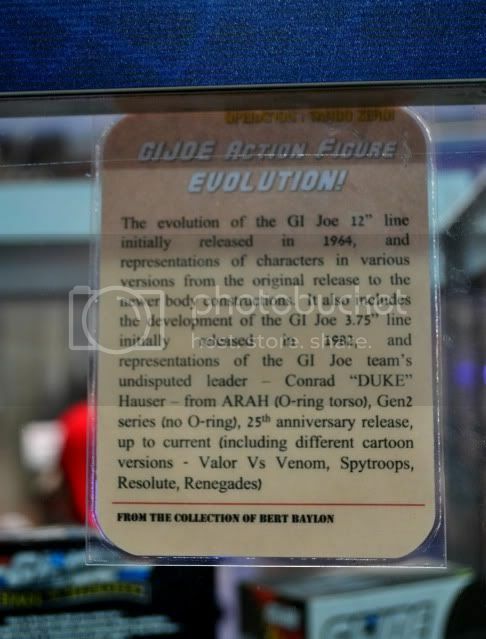 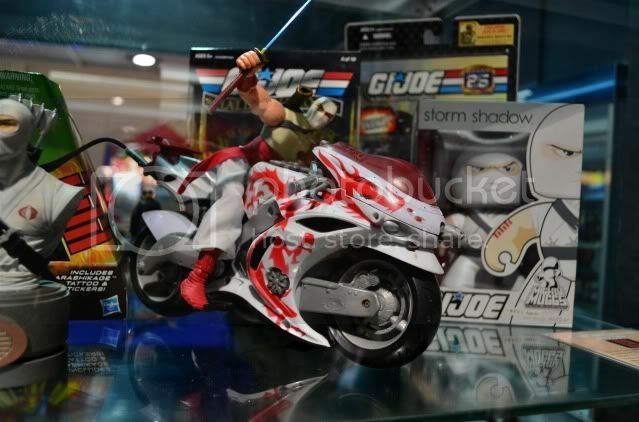 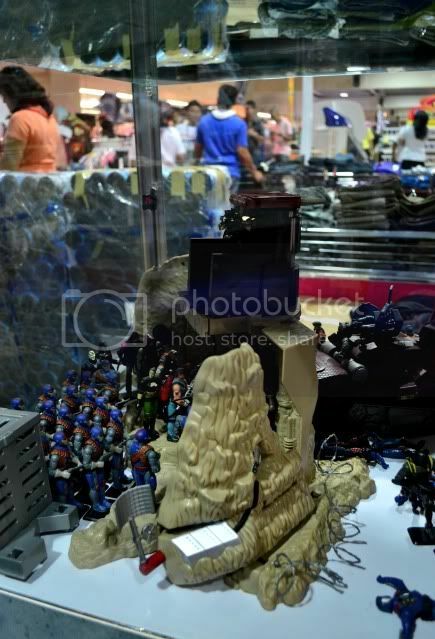 Back in October 2007, TS118 celebrated the 25th anniversary of the GI Joe 3.75 line in Robinson’s Galleria in Manila, Philippines. 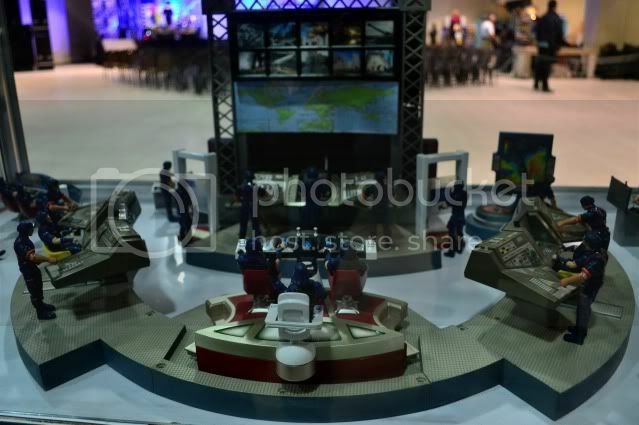 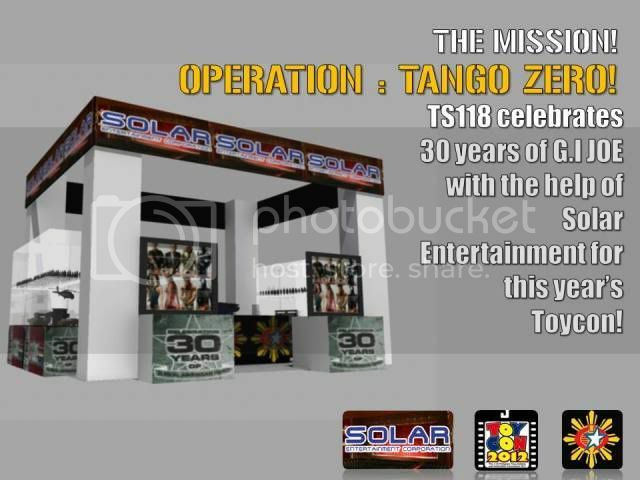 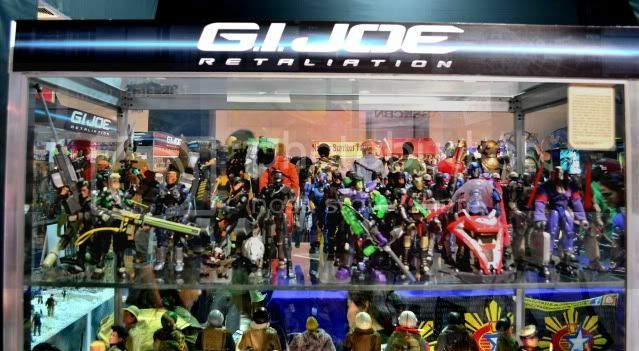 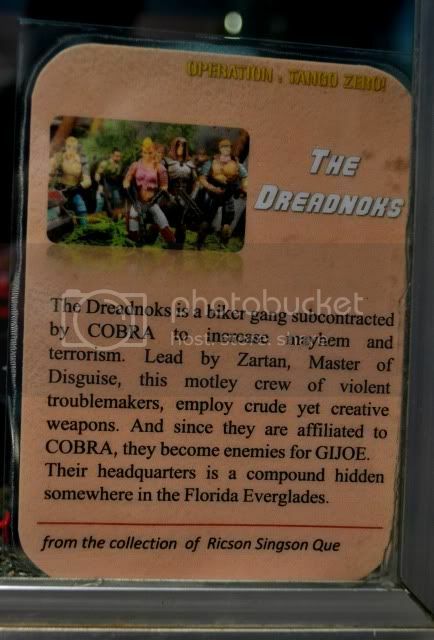 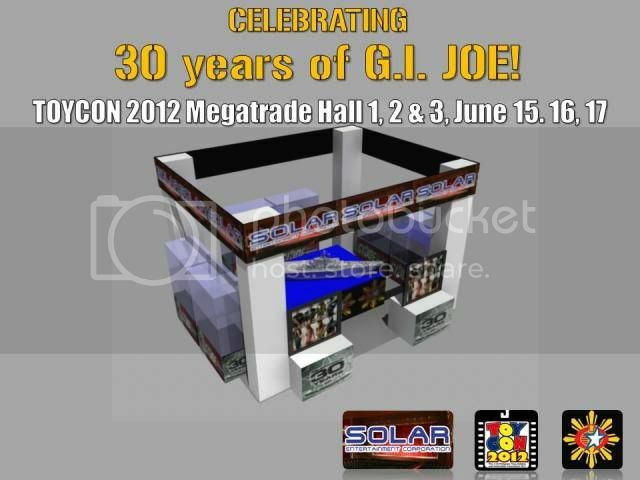 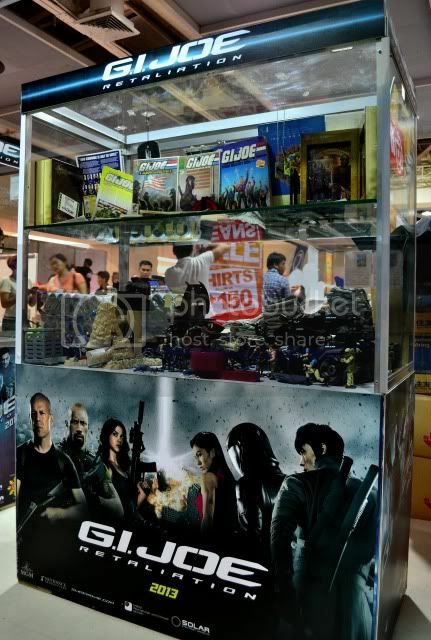 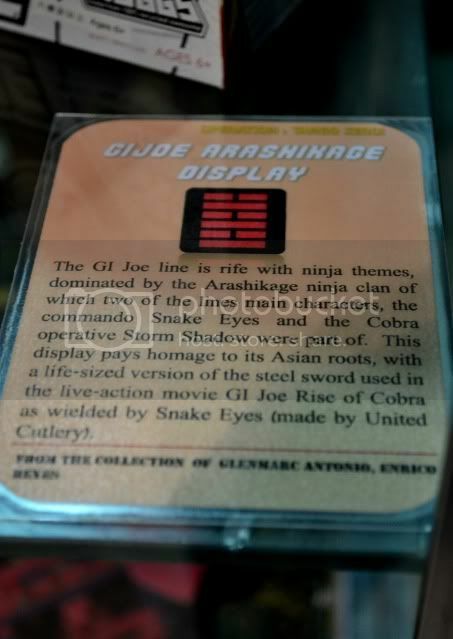 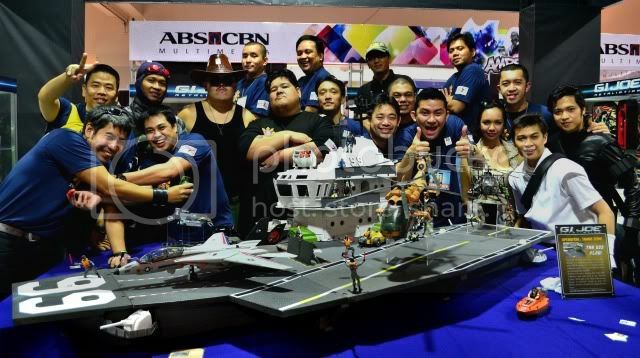 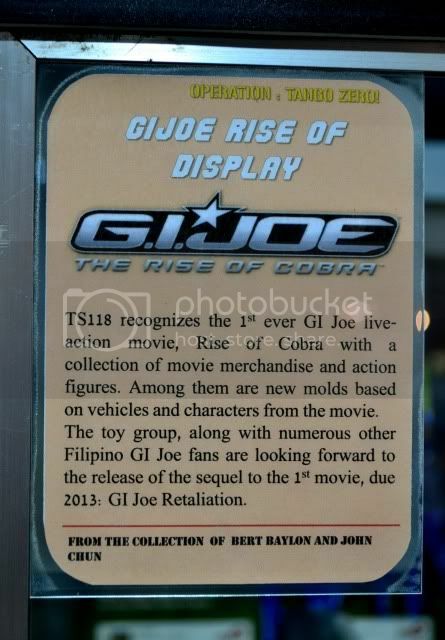 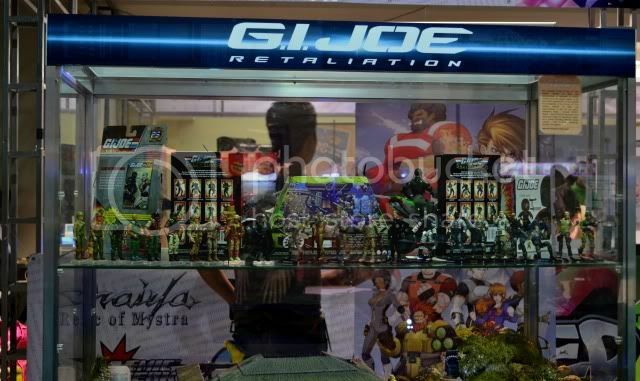 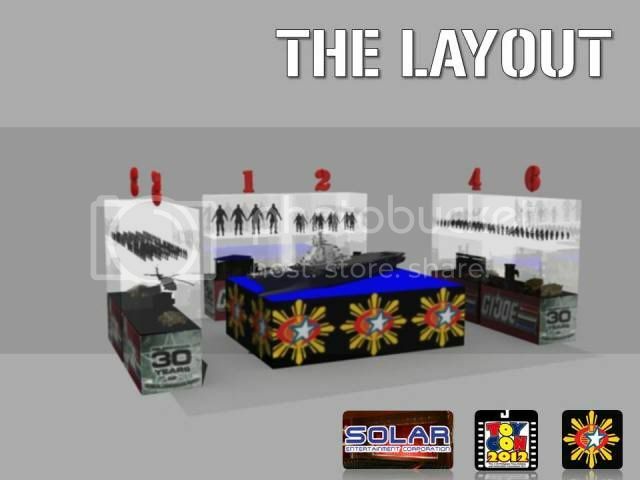 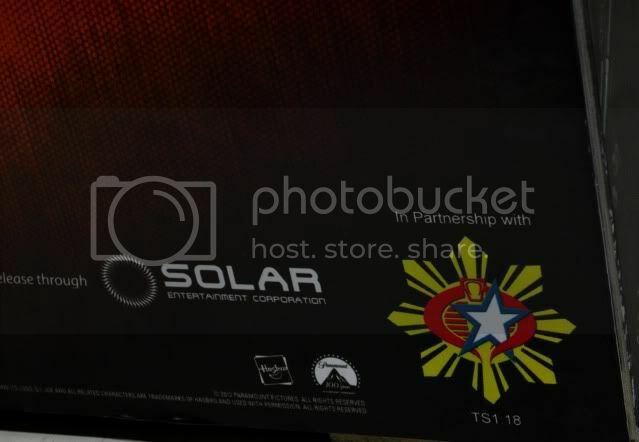 5 years after, the group is back STRONG-er than ever with a display area sponsored by Solar UIP (the local movie outfit who will show GI Joe Retaliation in the Philippines). 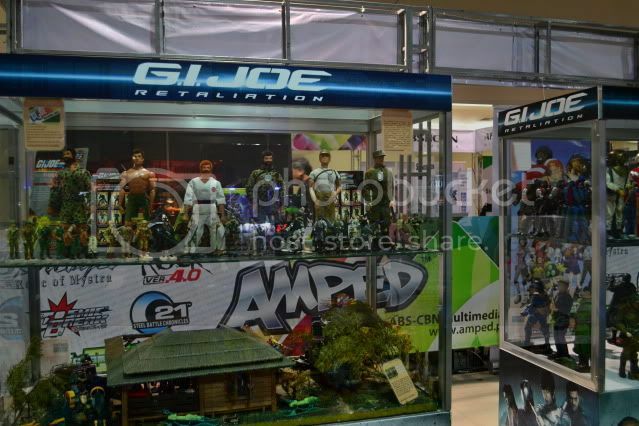 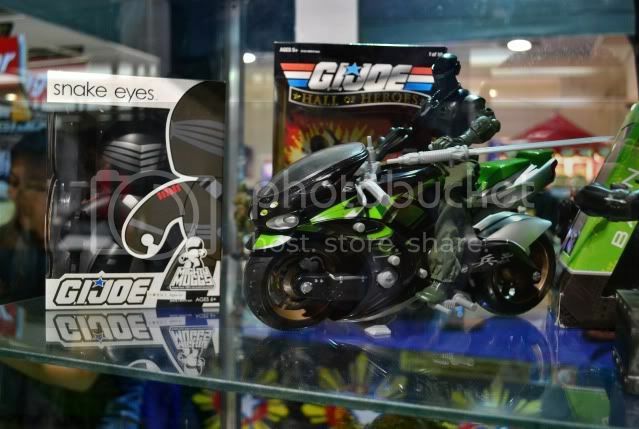 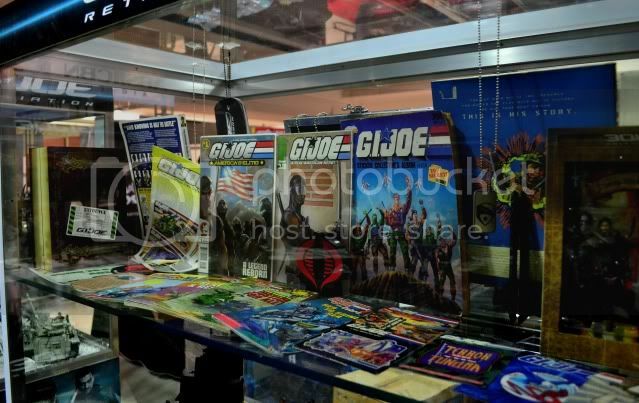 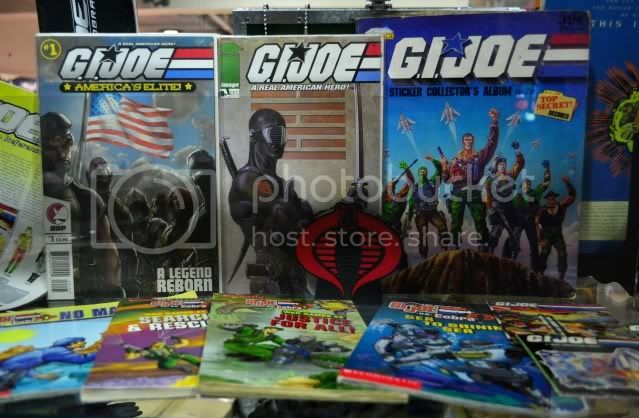 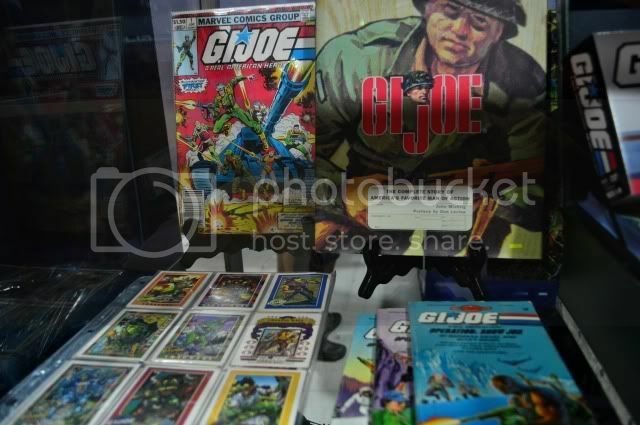 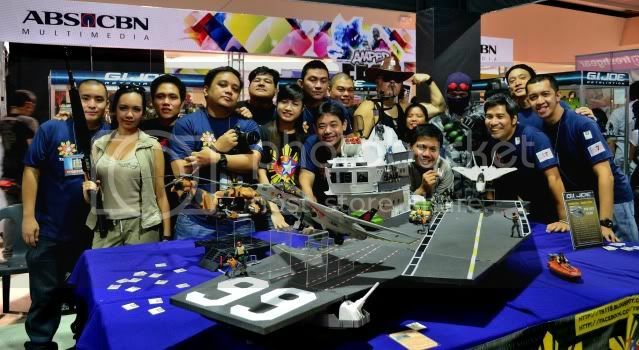 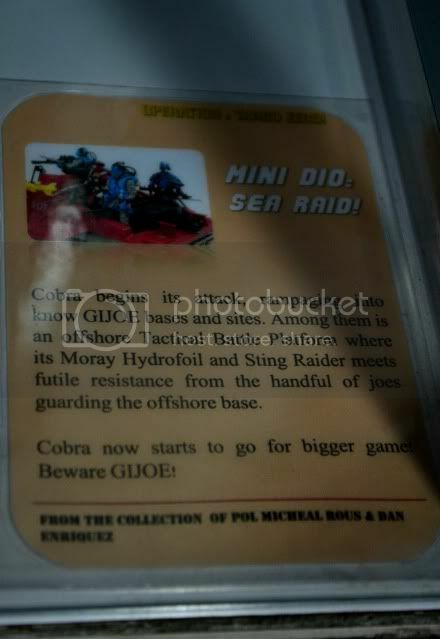 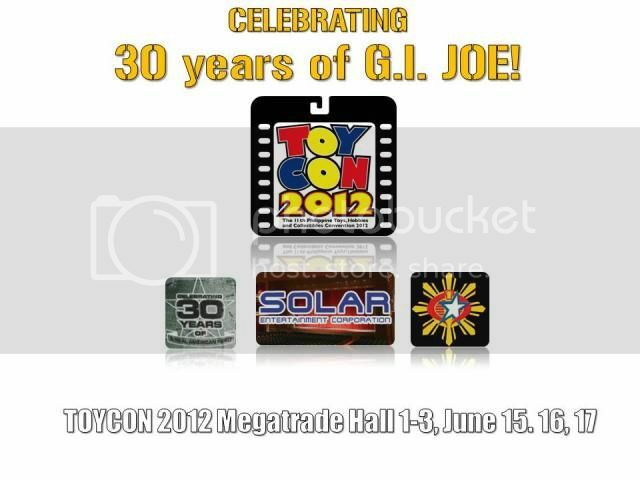 Despite the Joe movie being pushed back to next year, the spirits of the true GI Joe fans from TS118 are not dampened, and instead, we SPEARHEADED the celebration of the 30th anniversary of the 3.75 GI Joe line by participating and displaying a large collection of GI Joe memorabilia in the 11th Philippine Toy Convention in SM Megamall Megatrade Hall. 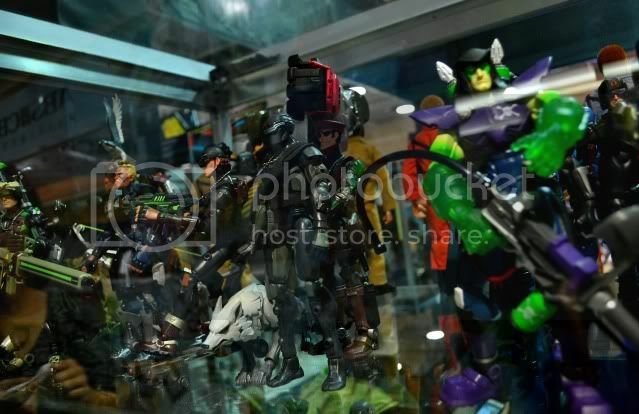 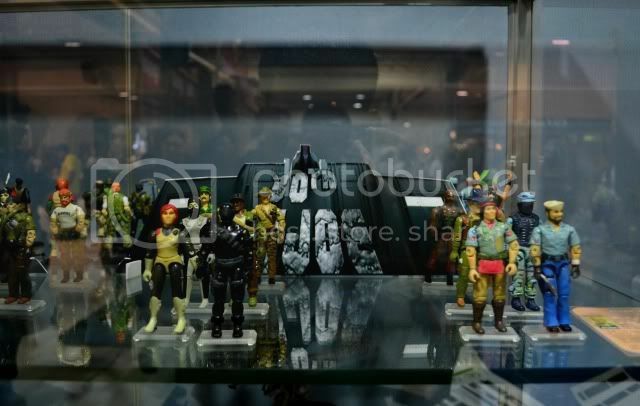 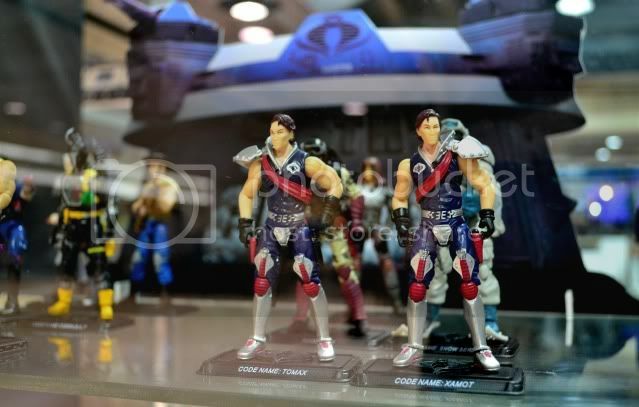 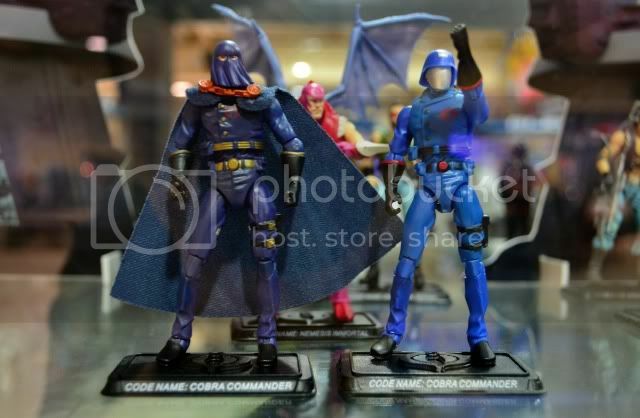 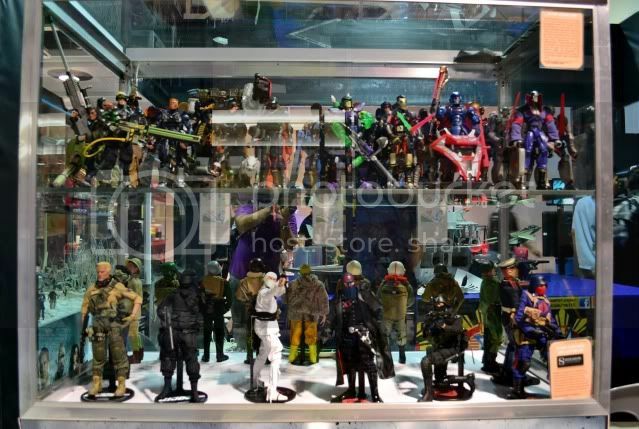 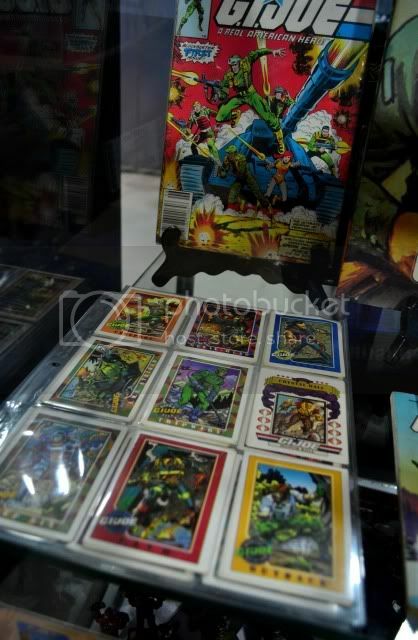 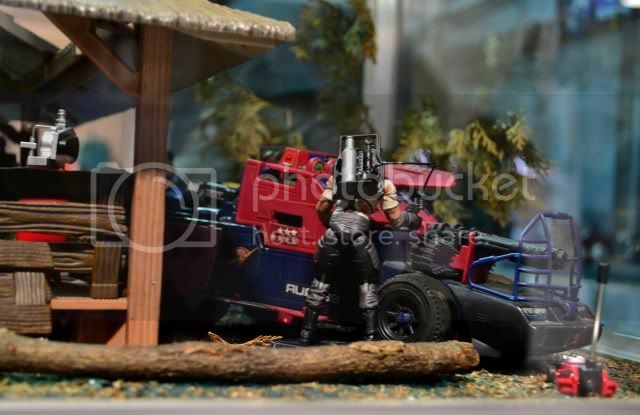 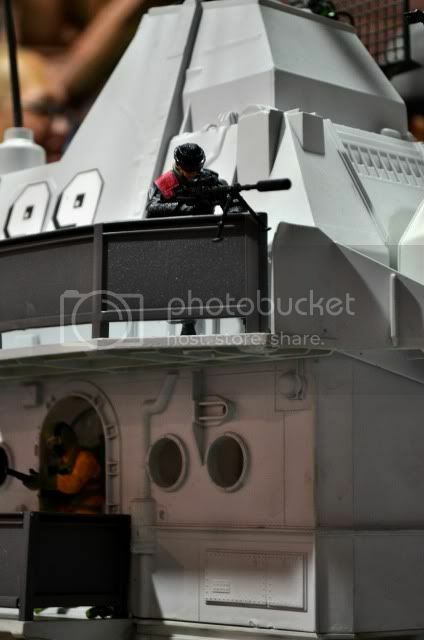 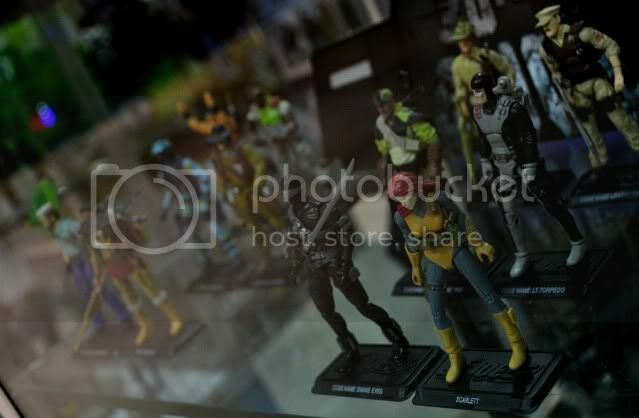 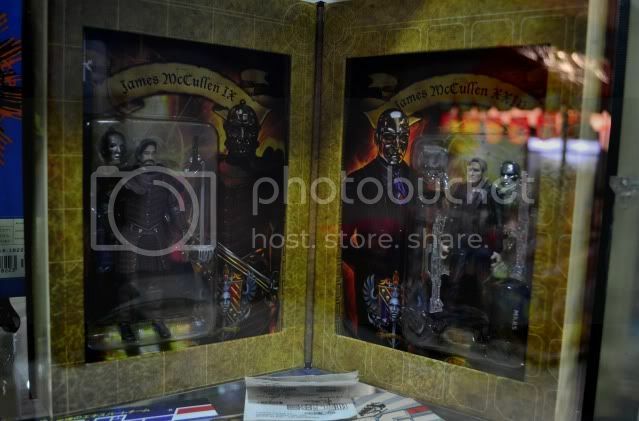 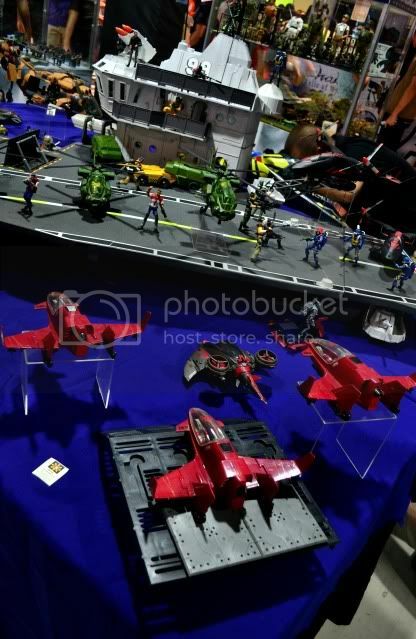 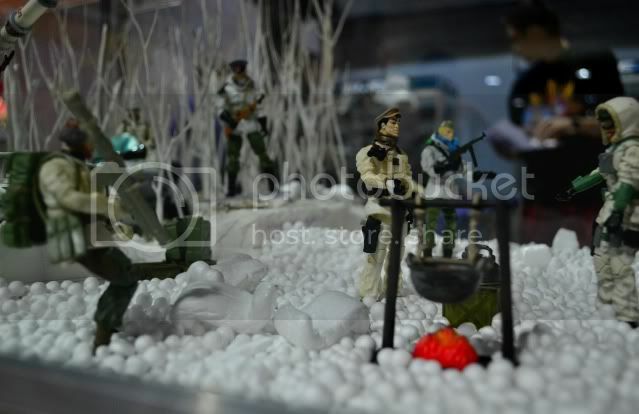 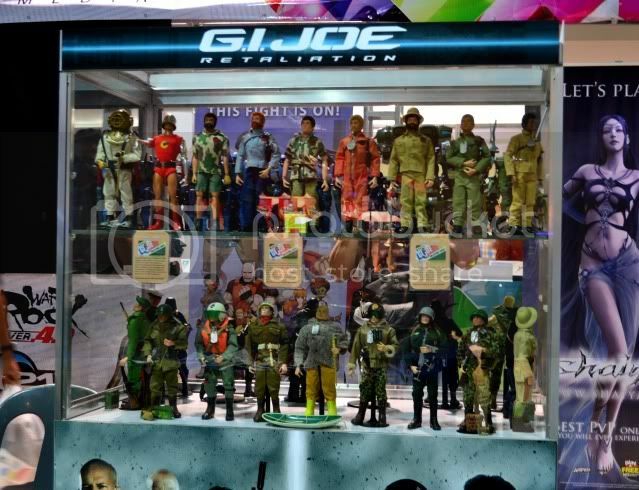 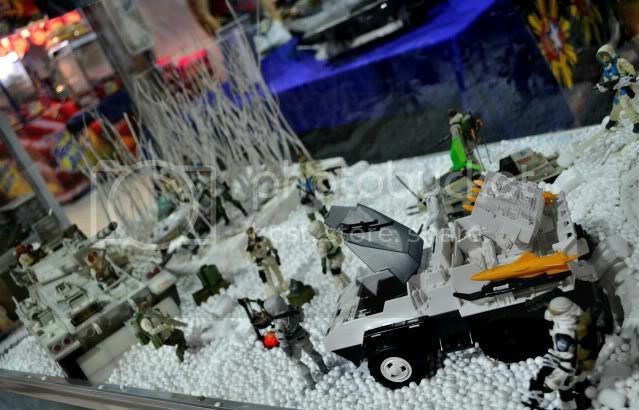 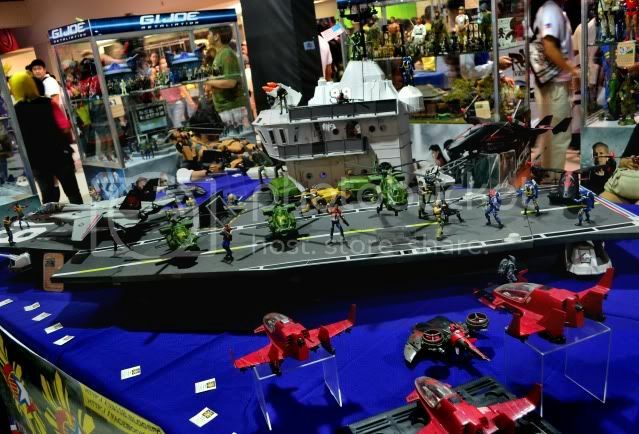 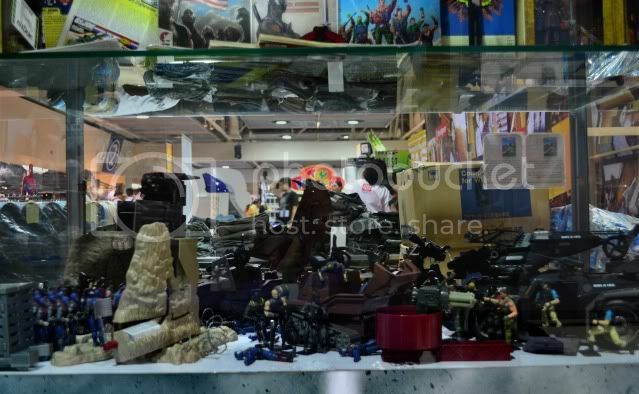 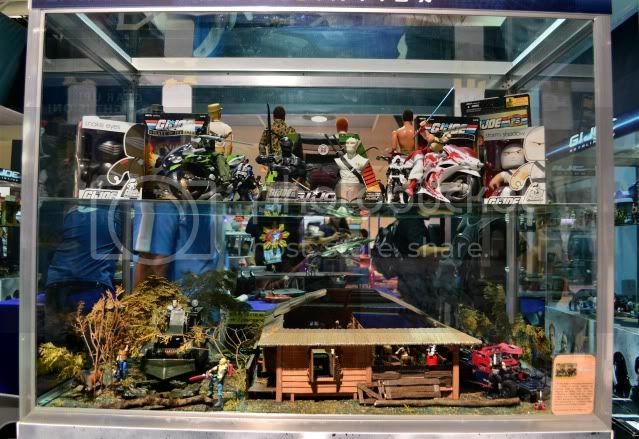 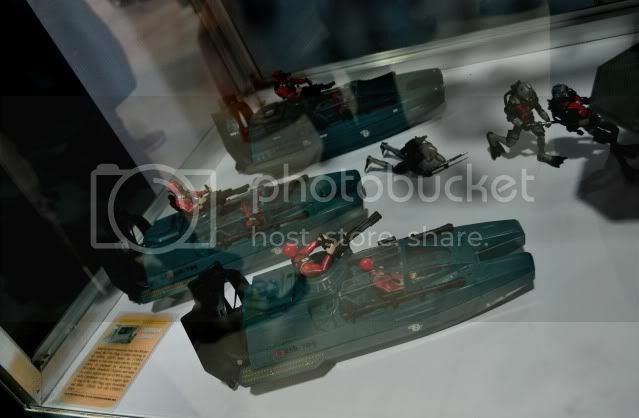 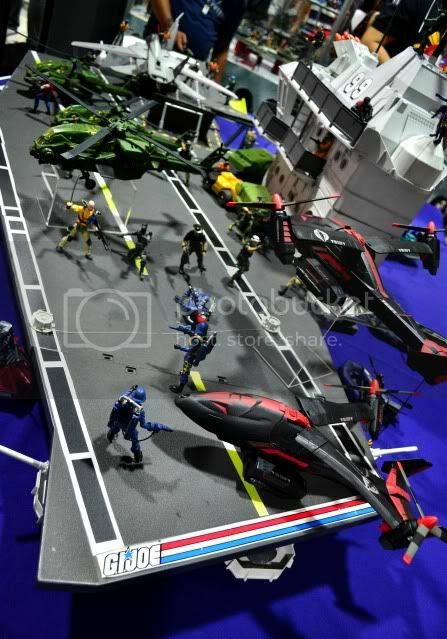 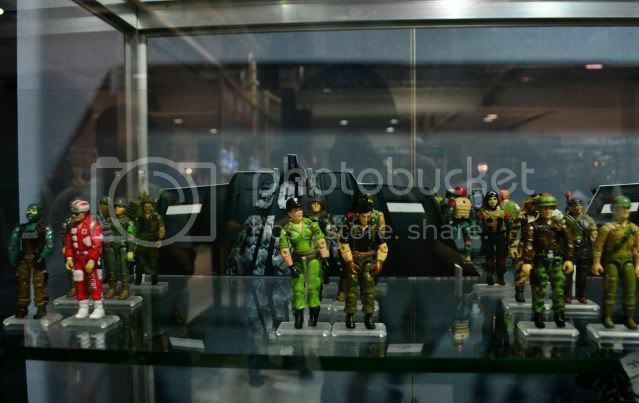 As part of the display, TS118 showcased figures from all 3.75” scale versions (ARAH, 25A/30A, Valor Vs Venom, DTC, Spytroops, etc), Sigma 6, the original 12” line (1964-onwards), Sideshow Collectibles, 5 mini-dioramas, and for the centerpiece, the largest playset ever created in 3.75” scale and considered by many as the Holy Grail of GI Joe collectors, the vintage USS Flagg (never been in public display in the Philippines for the last 20-plus years). 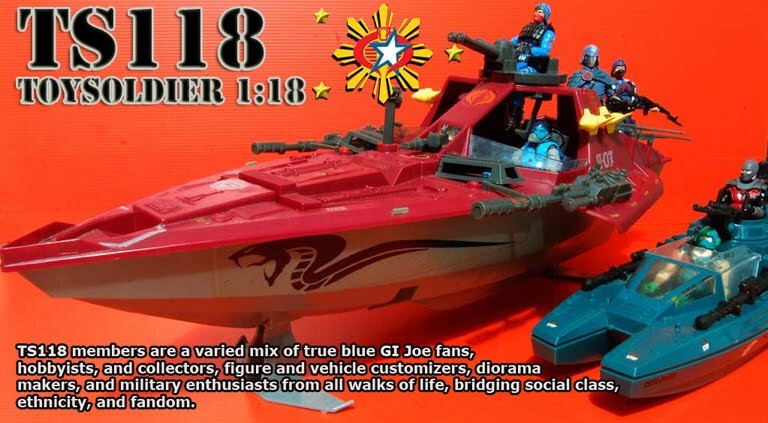 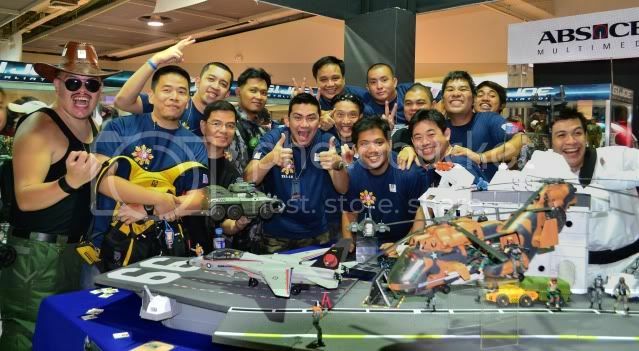 Displayed during the weekend of June 15-17, 2012, with the TS118 crew in full force, wearing the latest TS118 blue t-shirts as homage to the GI Joe navy. 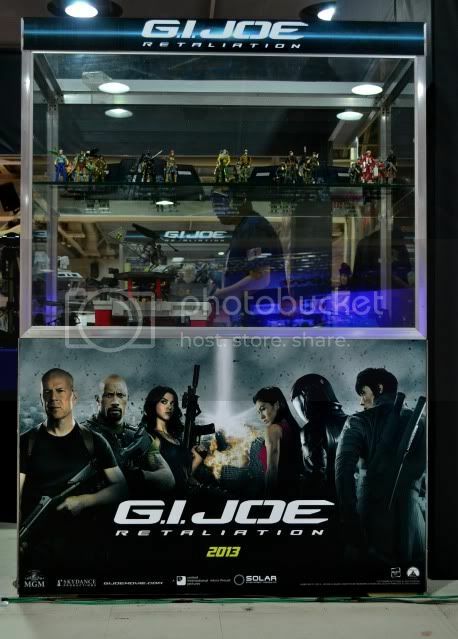 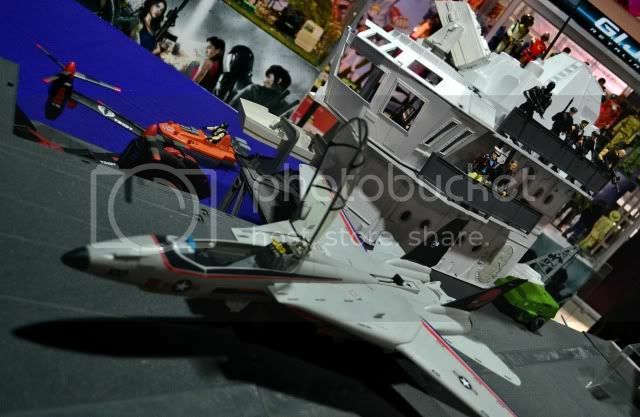 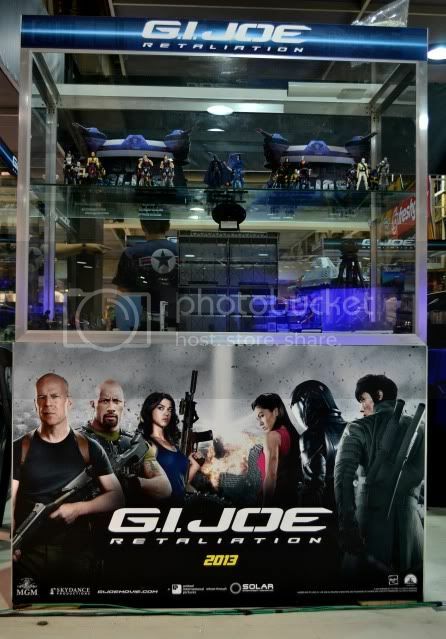 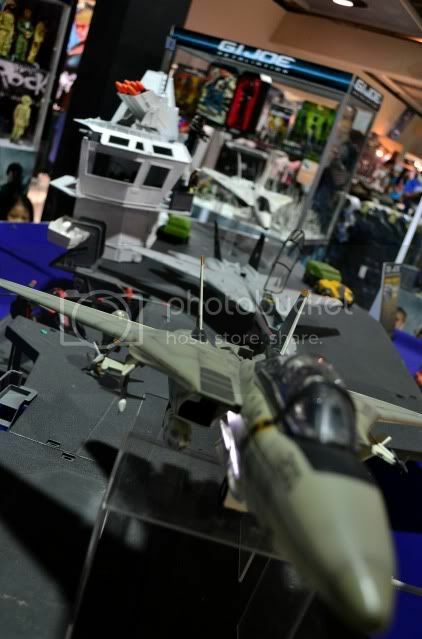 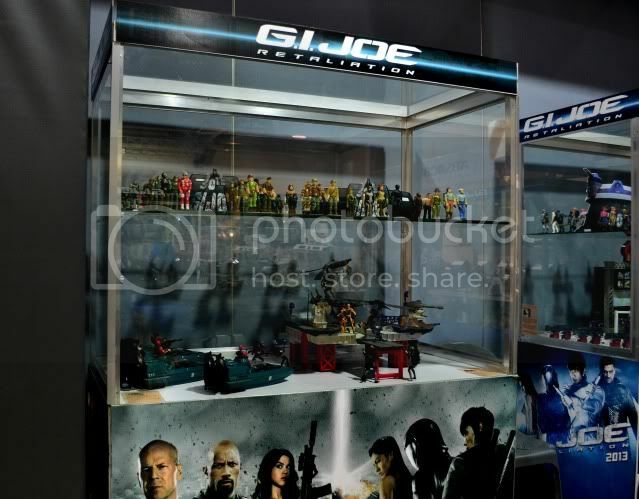 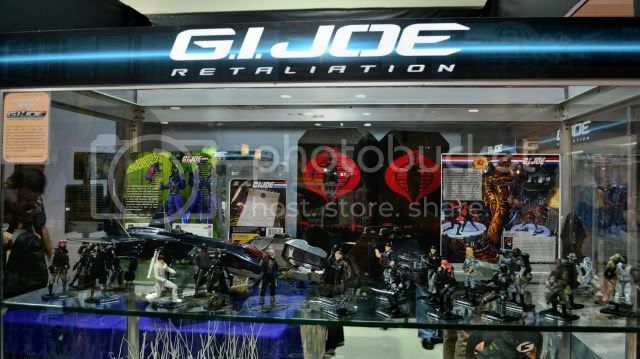 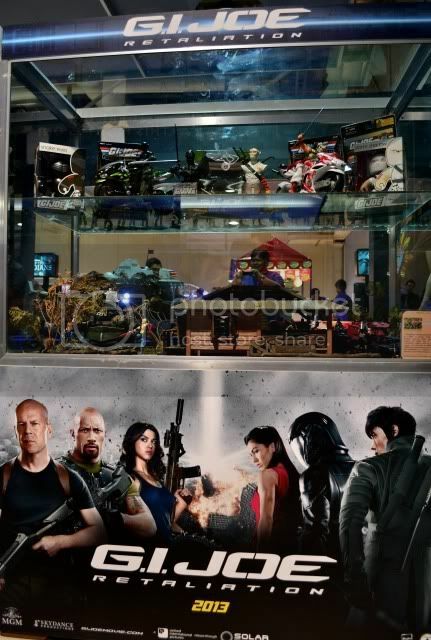 We hope you enjoyed this display and we hope to see you again next year as we gear up for the showing of G.I.Joe Retaliation in March 2013!